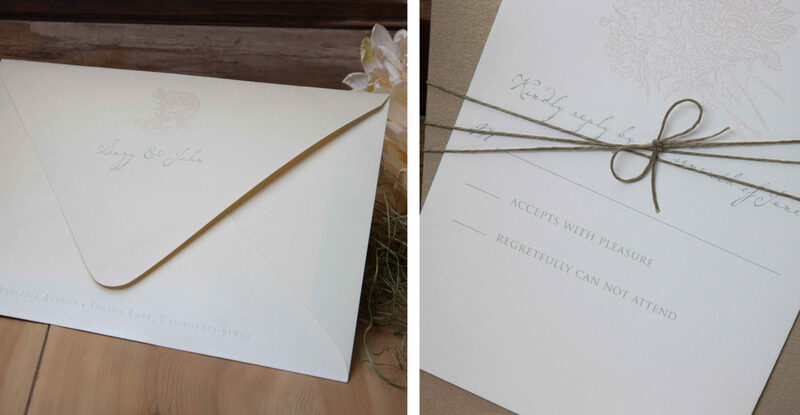 Card Tricks created an elegant invitation suite inspired by the bride’s pink and olive color palette and peony bouquet. 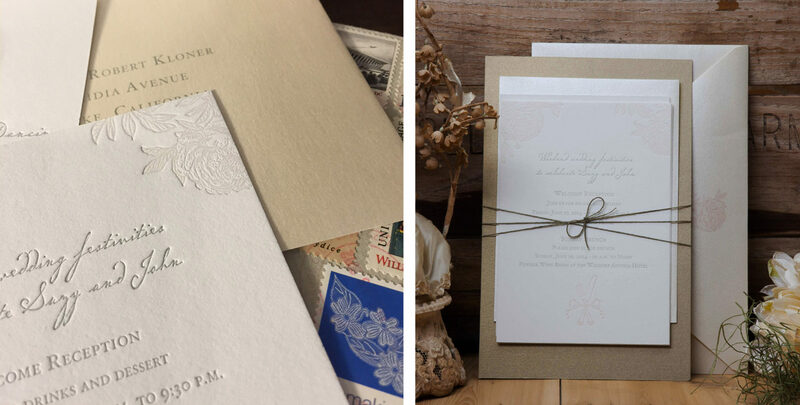 The design incorporates custom floral illustrations and letterpress printing on heavy hand-made ivory paper. 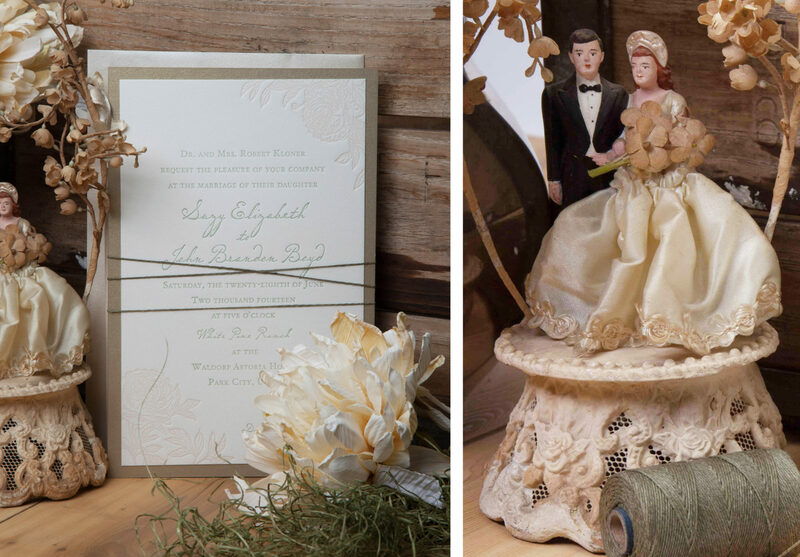 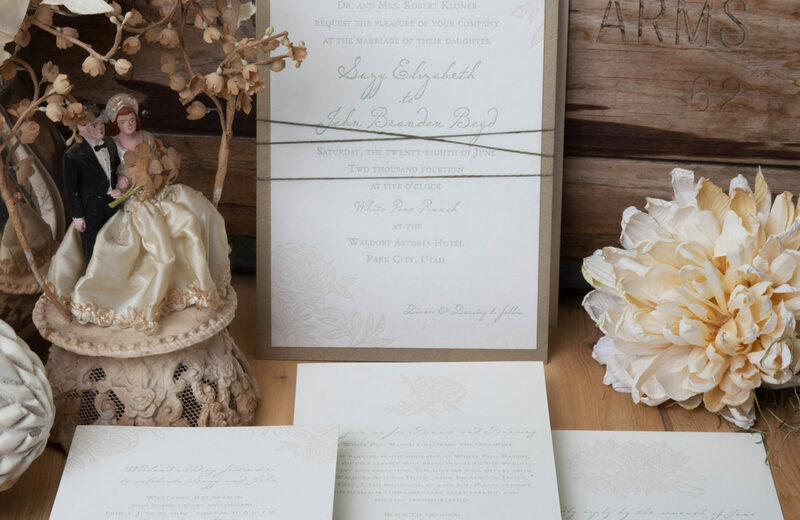 Mounted on distinctive antique gold cover stock, the materials are bound with a green waxed twine and tucked inside matching metallic ivory envelopes.